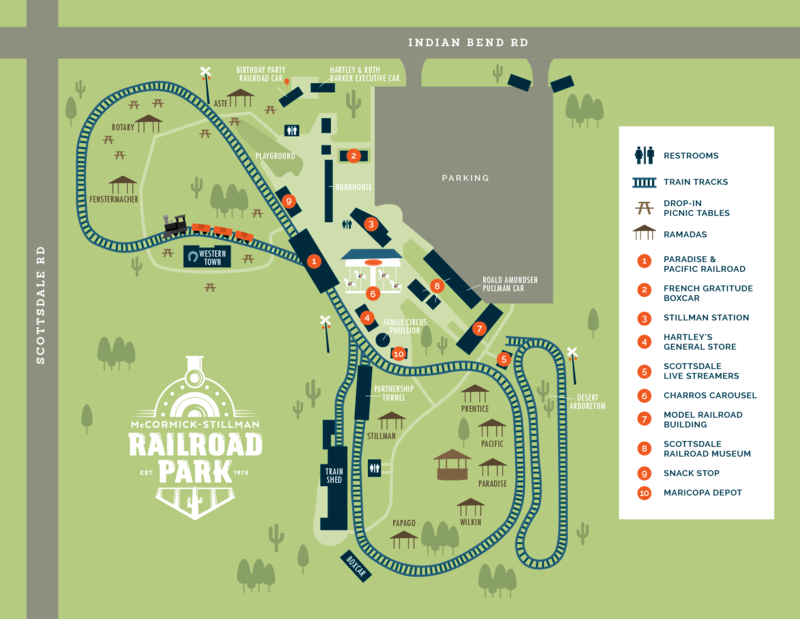 The McCormick-Stillman Railroad Park has a number of unique spaces for your next event or party. The park features nine picnic ramadas that can accommodate between 50 and 250 people. The Hartley & Ruth Barker Executive Car is the McCormick-Stillman Railroad Park’s newest and most unique event space. The refurbished baggage car was designed with the elegance of a historic executive passenger car. The space seats a maximum of 49 people and is perfect for business and community meetings and medium sized parties. The park is available for school groups looking for a unique day of learning. It’s all here. And it’s fun too. Adult supervision of 1:20 is required. (Museum entrance fee free for children under 13) A discount of 40% is applied to the ticket price when an advanced reservation is made for school groups. The park’s Reservation Office is open Monday through Friday, from 10 a.m. to 4 p.m. (excluding holidays). Reservations can be made up to six months in advance. If you have any questions, contact the Reservations Office at 480-312-2312. *All reservation permits will include an additional $10 non-refundable administrative fee. All ramada rates are reduced 50% during June, July and August. Beer permits are required and can be purchased for $15. Only beer in cans or kegs is permitted.